Pre-assembled gene panels are available for gene expression, gene fusion, miRNA, CNV, SNV and protein detection. Custom panels can also be curated for any species for bespoke projects. Contact our team of experienced scientists for guidance on the most appropriate panel for your study goals. 770 genes for essential cancer pathways including 40 internal reference controls for the human panel & 20 for the mouse panel. 770 immune profiling genes for the identification of different immune cell types, key checkpoint inhibitors, cancer antigens, genes for measuring the immune response & up to 40 internal reference controls. 770 genes involved in cancer progression including angiogenesis, extracellular matrix remodelling (ECM), epithelial to mesenchymal transition (EMT), metastasis including 30 internal reference controls. 594 human genes or 561 mouse genes for broad-based screening of innate & adaptive immune response for allergy, auto-immune response diseases & infectious disease immune response. Includes up to 15 internal reference controls. 255 human genes or 254 mouse genes for focused screening of the inflammation response in general immunology research including allergy, auto-immune diseases & infectious disease immune response. Includes 6 internal reference controls. 696 human genes or 675 mouse genes with emphasis on the myeloid component of innate immunity, which is relevant to cancer, autoimmune, & infectious disease. Includes up to 40 internal reference controls. 770 genes for vaccine testing, toxicity testing & organ transplant studies in non-human primates, including 16 internal reference controls. 199 genes for the measurement of pluripotency & differentiation, including 6 internal reference controls. 535 protein kinase genes known to be differentially expressed in the human kinome with 8 reference controls. 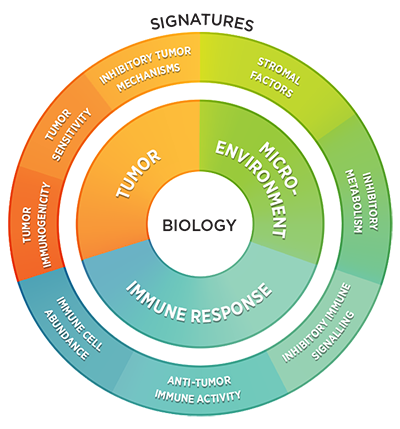 750 cancer-related genes involved in the complex interplay between the tumor, microenvironment and immune response including 20 internal reference controls. 760 neuropathology-related genes included in six fundamental themes of neurodegeneration: neurotransmission, neuron-glia interaction, neuroplasticity, cell structure integrity, neuroinflammation and metabolism including 10 internal reference controls. >800 human miRNAs with 20 internal reference controls & 5 mRNA probes. >600 mouse and mouse-associated viral miRNAs with 20 internal controls & 4 mRNA probes. >400 rat miRNAs derived from miRBase with 20 internal reference controls & 4 mRNA probes. 87 most commonly amplified or deleted copy numbers in cancer. 24 human chromosomes, 388 Individual loci for gross chromosomes abnormalities. 180 genes to study T & B cell activation and signalling molecules, plus 12 internal reference controls. 180 genes involved in host response, bacterial sensing, inflammation. Includes Toll-like receptor signaling, and related cytokines, plus 12 internal reference controls. 180 unique genes related to cancer metabolism, plus 12 internal reference controls. 180 unique genes related to signalling pathways in cancer immunology, plus 12 internal reference controls. 180 unique genes whose relative expression level is indicative of specific cell types, plus 12 internal reference controls. 180 unique genes related to the Wnt signalling pathways ( B-catenin, PCP and Calcium-Ion dependent pathways), plus 12 internal reference controls. 180 unique genes related to DNA damage & repair pathways, including base excision repair, nucleotide excision repair, mismatch repair, trans-lesion synthesis, and other repair processes genes. In addition, 12 internal reference controls. 192 genes that measure activation of the MAPK and/or PI3K pathways, plus 12 internal reference controls. 180 hematologic oncology related human genes, plus 12 internal reference controls. 30 immune cell surface proteins including CD4, CD8, PDL-1, plus 3 internal reference controls. 30 intracellular immune cell signalling proteins including IL-2, IL-6, FOXP3, plus 3 internal reference controls. 28 solid tumour signalling pathway total and phospho-protein targets including AKT, MAPK, PRAS40, plus 3 internal reference controls. 26 key solid tumour signalling protein targets listed above, plus 3 internal reference controls. 104 actionable and high-frequency SNV and INDELS in 25 key solid tumour genes. 63 probes: 35 for specific fusion detection, 24 for positional gene expression imbalance detection, and 4 internal reference controls. 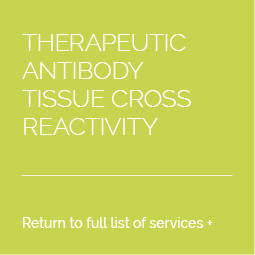 42 probes: 27 for specific fusion detection, 12 leukaemia biomarkers, and 3 internal reference controls. Run at Propath’s facility in the UK on the Nanostring nCounter platform, this expertly curated panel of 770 genes provides powerful insights into: signalling pathways that cause a tumour; the tumour’s microenvironment; the immune system response; and tumour progression and metastasis. Propath can provide detailed signature analysis services for the PanCancer IO 360 panel for single sample analysis or much larger cohorts. A report will provide information on all 47 signatures included in the panel and analysis for the identification of novel signatures. This 18-gene signature, also included in the PanCancer IO 360 panel, measures activity known to be associated with response to PD-1/PD-L1 inhibitors pathway blockade. TIS score is available as an additional data output.